Man has long been preoccupied by the future. Indeed, it is the very essence of progress that makes looking forward a critical compulsion. Celebrating the future that we’re living today, and the baffling advancements of the near future we’re set to inhabit — it is Future Month here at We Heart. What better way to begin than in 1968? 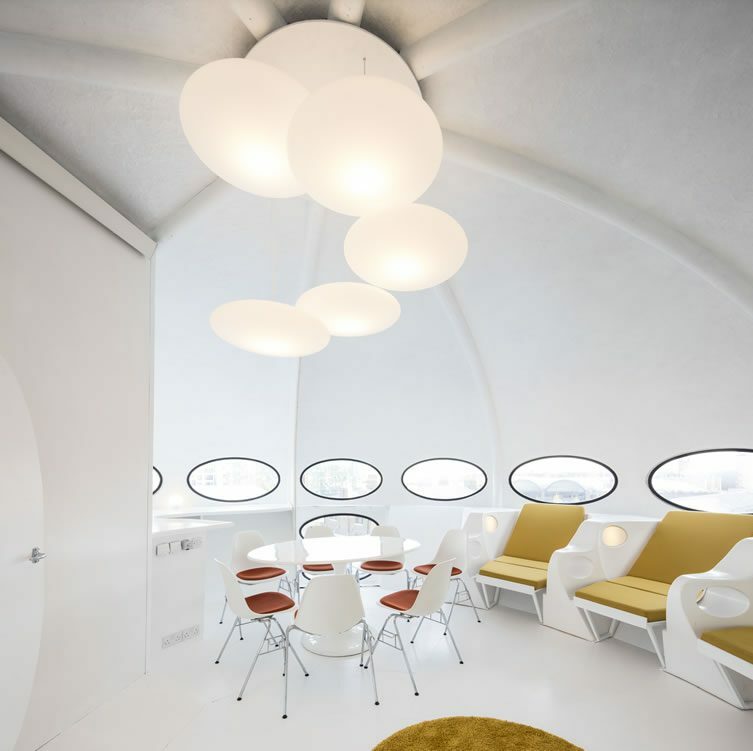 A personal request made to Finnish architect Matti Suuronen for a prefabricated weekend home, The Futuro House was the latest in a line of prefab obsessions of makers and thinkers in the mid-20th century — Buckminster Fuller’s Dymaxion Houses; Disneyland’s Monsanto House. Exhibited at London’s FinnFocus fair in 1968, demand for the house that Suuronen built blew up — manufacturing rights licensed to more than 20 countries — but a chain of events led by the early ’70s oil crisis ensured an untimely end for the project that epitomised the idealistic musings of the era … less than 100 were ever made, some 60 known to still exist. One of those 60 found its way into the hands of artist Craig Barnes, who saved it from destruction in South Africa — three decades after first seeing it as a child. 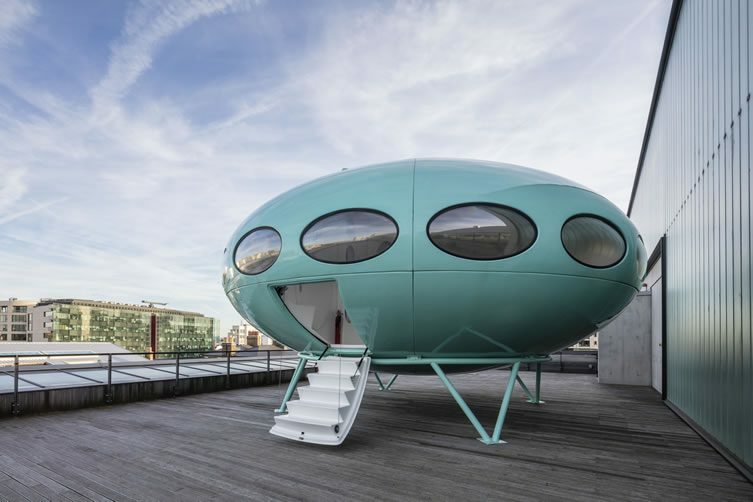 Meticulously restored after a 12,000 mile journey to the UK, the Central Saint Martins alumni’s Futuro can now be found on the rooftop of his former university: 1 Granary Square, London. 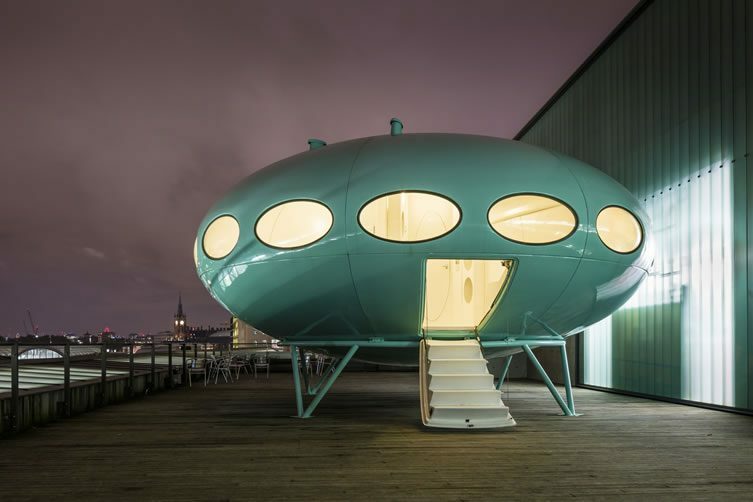 Hanging around to host a year-long series of events that fixate on CSM’s engagement with the future (under the title Slivers of the Future), Barnes’ Futuro still represents a very contemporary vision of the future … perhaps more so now than ever. 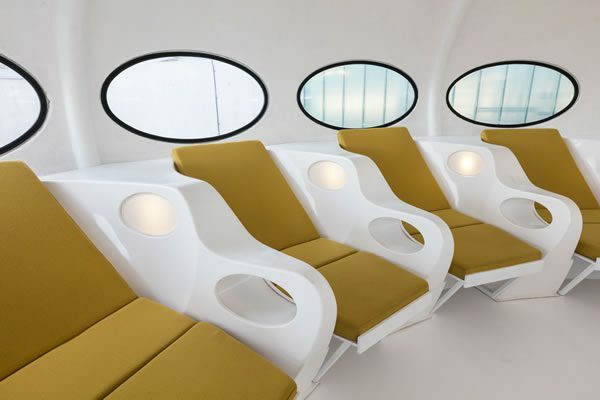 Whilst CSM students will be examining the very fabric of what our future will look like, the Futuro reflects the road from the experimentalism of the 1960s to today, and serves as a beacon of optimism for when the realities of our uncertain future hit home. 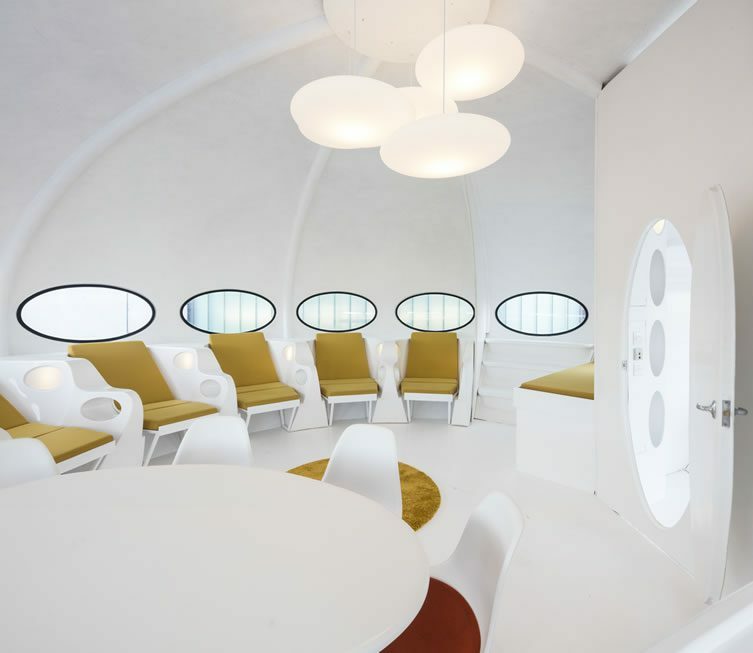 With its friendly aesthetic, and charming naivety Matti Suuronen’s 1960s innovation is a pure, positive distillation of our obsession with coming times.